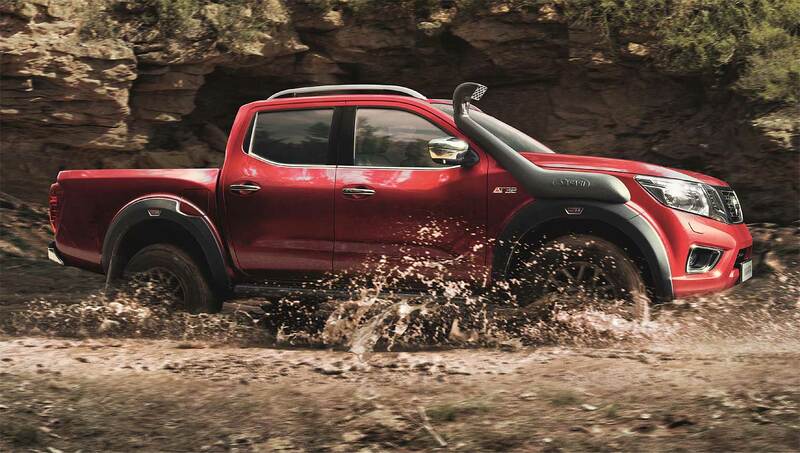 Nissan is taking performance of its Navara pickup to a new extreme with the launch of the "Navara Off-Roader AT32", the most capable Navara ever. It is the first time a Navara has been developed with a partner brand for pan-European markets. 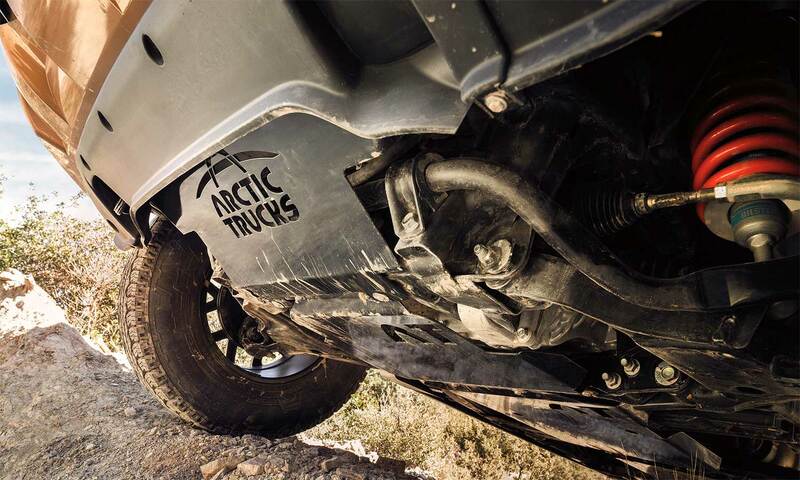 The vehicle is engineered by Arctic Trucks, the highly respected Icelandic company which specialises in building 4WD vehicles to take on the world’s harshest terrains. AT stands for Arctic Trucks and 32 represents the diameter of each off-road tyre in inches. Visually, the most substantial upgrade is to the Navara’s suspension, which has been raised to optimise performance and create additional ground clearance. That is now 243 mm, compared with 223 mm on the standard Navara. Maximum approach angle has been increased to 35° (up from 30.4°), while breakover angle is now 24° (up from 22.2°). The 17-inch alloys are designed by Arctic Trucks, while the 32-inch tyres have been selected specifically to improve off-road traction while maintaining excellent on-road performance. Such a large tyre diameter allows the driver to reduce the pressure to further boost traction, for example, in soft sand or snow. With 20mm extra ground clearance and larger tyres, overall vehicle height is increased by 40mm. For customers seeking the ultimate in off-road ability, a snorkel and front differential lock are available as optional extras. 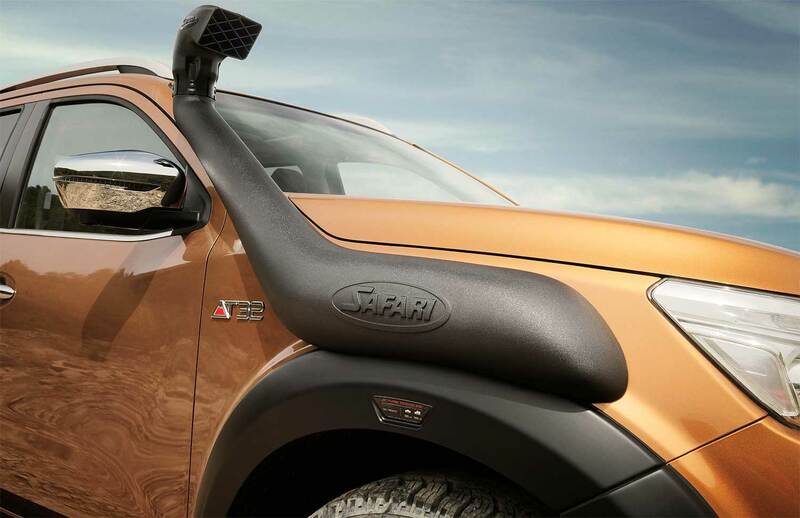 The snorkel is attached to the A-pillar and will boost wading depth to 800 mm - 200 mm more than the standard Navara. The front differential locker, working in tandem with the standard Navara’s rear differential locker, will provide the best possible traction on every type of surface. The new features will complement the Navara’s on-board suite of advanced technologies. Standard equipment includes Hill Start Assist, Hill Decent Control, Intelligent Emergency Braking and Intelligent Around View Monitor.